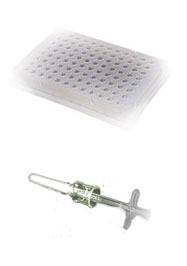 Laboratory Accessories | BioVision, Inc.
BioVision's Lab Accessory Products include preparatory and assay tools. For preparatory use we offer 10 kDa spin filters to quickly deproteinate samples and a Dounce homogenizer for assistance in cell and tissue lysis. 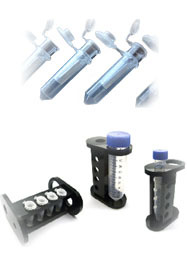 Our assay tools include Avidin and Protein G coated 96-well plates as ready-to-use products and a re-useable magnetic separator rack which allows for separation using 1.5 ml, 15 ml, and 50 ml centrifuge tubes. The magnetic separator uses permanent, extremely strong, rare earth magnets embedded in the body and protected by a nylon polymer housing.